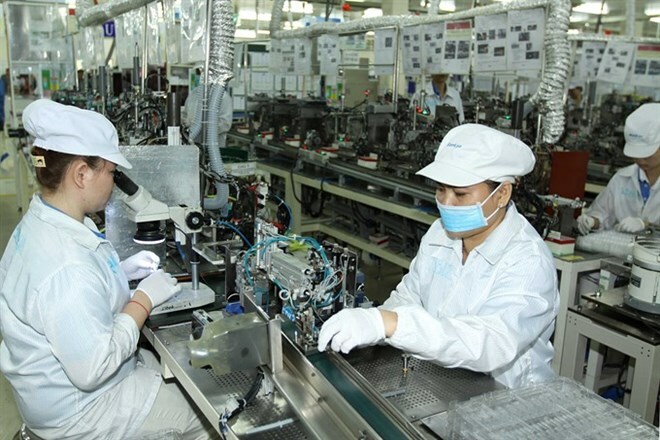 Hanoi (VNA) - Unresolved issues in Vietnam’s regulations and the business environment have resulted in relatively low FDI inflows from US and European multinational companies, experts say. According to the Foreign Investment Agency (FIA) under the Ministry of Planning and Investment (MPI), as of July 2017, US companies had invested 9.3 billion USD in Vietnam and the major EU nations of France and Germany registered 2.8 billion USD and 1.6 billion USD, respectively. The US stands at number nine on the list of countries and territories investing in Vietnam, way behind the number 1 investor, the Republic of Korea, at 55.3 billion USD, or Japan at number 2 with 46.5 billion USD and Singapore at number 3 with 41.6 billion USD. The FIA said that regardless of projects, be it direct investments or mergers and acquisitions, the level of capital flow coming from Asian companies into Vietnam was much higher than the US or the European Union. Nguyen Van Toan, Vice Chairman of the Vietnam’s Association of Foreign Invested Enterprises (VAFIE), said he believed there was potential for higher FDI from these two regions, but this was yet to be tapped despite numerous bilateral and multilateral free trade agreements. He felt a lack of transparency in trade relations and administrative regulations, and Vietnam’s limited capacity to accommodate investment flows, arising from limited technological advances and a workforce that is still developing. He also said Vietnamese authorities were yet to pay due attention to protecting intellectual property rights, a factor that makes US and EU investors hesitant. Agreeing with Toan, Jonathan Moreno, Chairman of the Manufacturing Committee under the American Chamber of Commerce in Vietnam, said that until Vietnam clears up its business environment, especially in newer sectors like clean energy, there would be little change to capital inflows from the US into the country. According to the European Chamber of Commerce in Vietnam, in the first quarter of 2017, the country’s Business Confidence Index dropped seven points from the fourth quarter of 2016 to 78 points. Speaking at the 2017 Vietnam M&A Forum earlier this month, Tran Thanh Tam, Director of KPMG’s Markets Group, said Asian investors were more interested in smaller Vietnamese projects as a direct effect of signed trade agreements and higher degree of familiarity with Vietnamese regulations than US and EU investors.